Artists and aspiring artists of all ages, skill levels and with special needs are invited to join us for individual or small group art lessons. Try for the first time, nurture your child’s talent or further develop your artistic skills in the medium of your choice with our Ontario certified arts educators. Ashley and Gabriel have years of experience working with students from early childhood up through adults, students with Autism and other special needs. We offer special discounts for groups, seniors and for multi-lesson blocks. Printmaking is an exciting and broad discipline allowing for fun and immediate results as well as offering the potential for advanced exploration. From engraving to lino, woodcut and monotype painterly printing we offer lessons on many techniques using our etching press, pin press as well as simple DIY methods you can continue with at home or in the classroom. 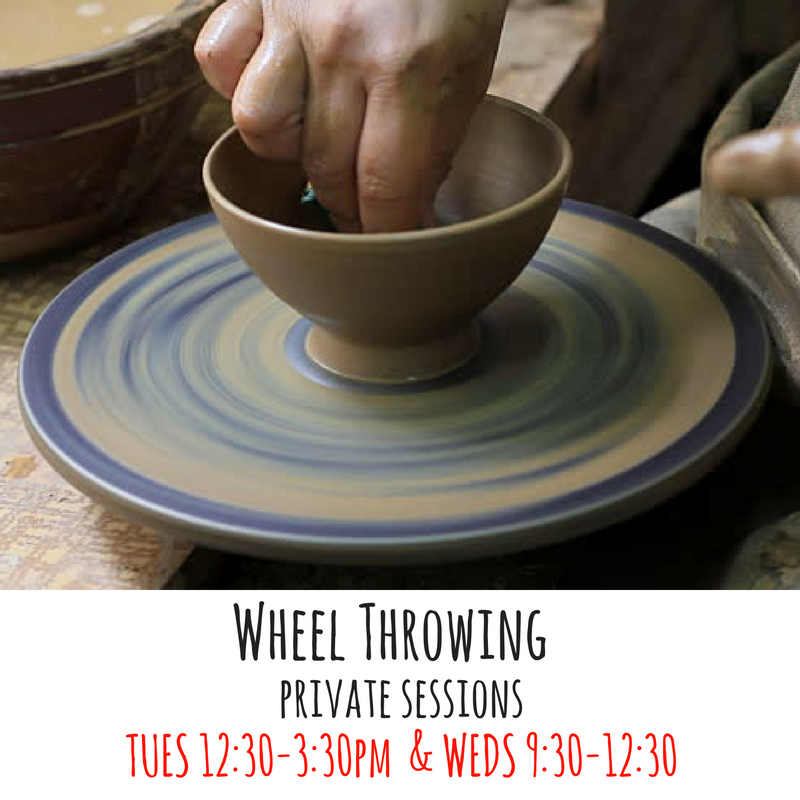 From learning how to throw on the pottery wheel to coil, slab, mould making and modelling this hands-on medium is a great way to create functional or decorative objects. From landscape painting to figurative, abstract, Pop, stencil and street art, we are knowledgable and experienced in many mediums and styles. Whether you want to work from observation (still lifes, photos, through our windows or venturing into the great outdoors- we are excited to help you gain or develop skills and pursue your interests. Drawing is a fundamental skill used across artistic disciplines. Whether you are interested in realistic depiction, comics/graphic novels, using perspective to create depth or just like to doodle- developing a strong foundation in drawing is always a good idea. Also it's lots of fun and can be practiced anywhere- all you need is some paper and a pencil or pen!